Spend Good Friday with Every Nation NYC. We will gather to reflect on Jesus’ death and sacrifice in anticipation for Easter Sunday. 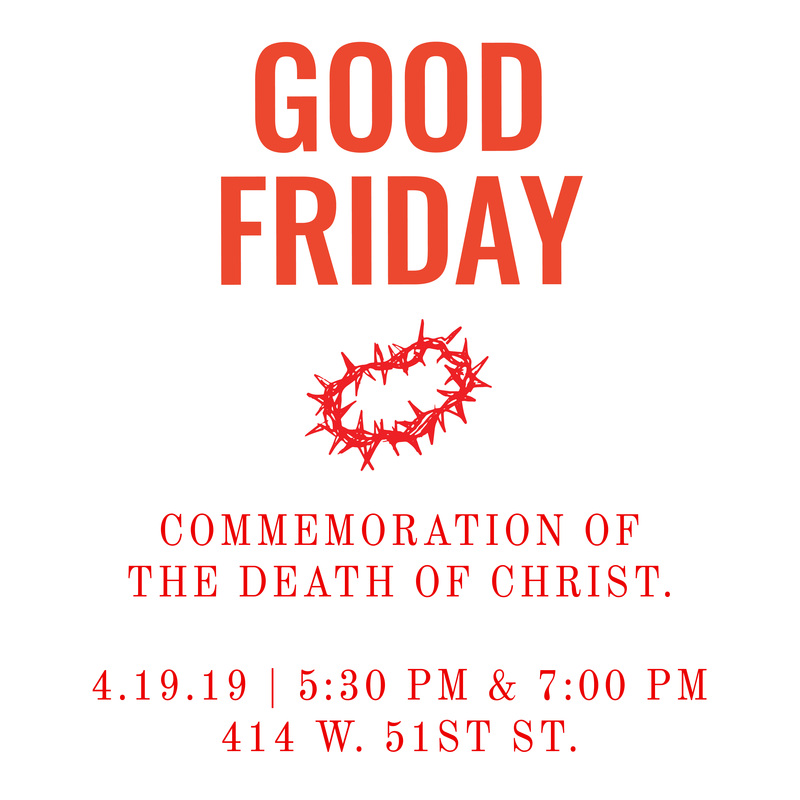 Join us at 414 W. 51st St. at 5:30 PM or 7:00 PM.